Woven by dedicated Amish craftspeople, these cinches are simply the best money can buy. Naturally water repellent, natural alpaca fiber is tops in strength, comfort and durability. Weaver Leather doesn’t stop there though! They add stainless steel hardware adorned with intricate floral engraving and black accents as well as sunset harness leather to take these cinches over the top. 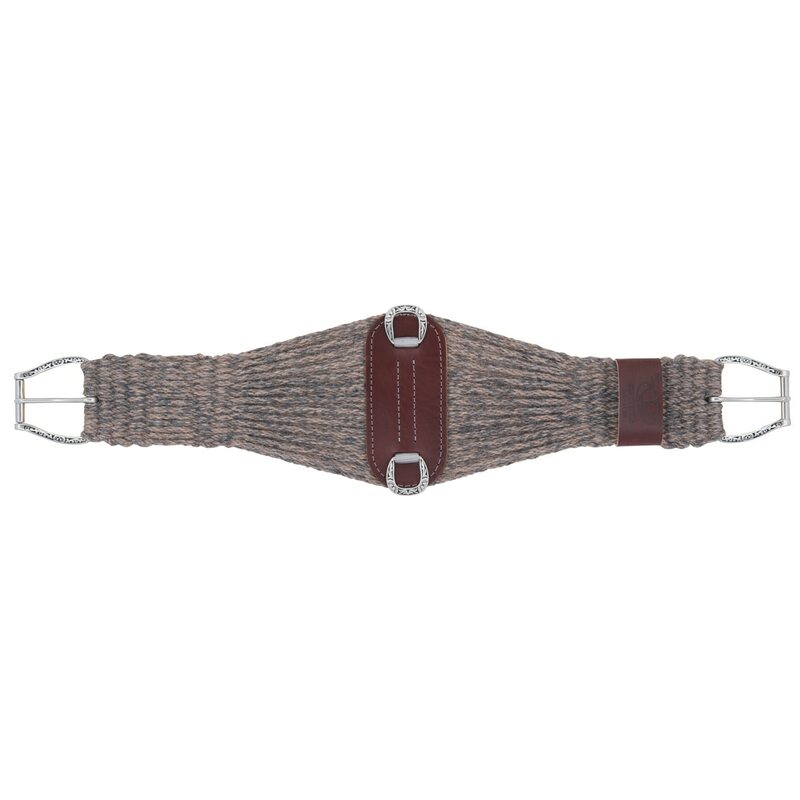 Sunset harness leather is stuffed with extra tallows that help prevent leather from absorbing moisture and sweat which causes traditional skirting leather to become stiff and gall horses.